A week ago Frank Ocean revealed, by way of one hell of a Tumblr post, that his first love was a man. 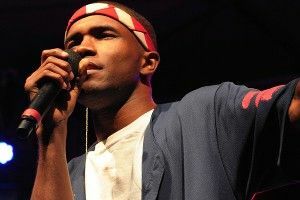 Frank didn’t need any help whipping up excitement for his first official album Channel Orange, out July 17 — his career-making mixtape Nostalgia, Ultra and Orange’s epic single “Pyramids” had already done that. But his boldness changed the conversation, heightening and tightening the drama swirling around the man, his music, and his stories. It’s only appropriate, then, that Ocean would keep on cranking the fervor by — surprise! — releasing his album last night at midnight to iTunes, a whole week before it’s due in stores. Yes, that means you can buy it right now. Go ahead. I’ll wait. [Checks Facebook, learns that Batman’s cape is tragically impractical]. OK, you’re back? Cool, cool. Anyway, yes, Channel Orange — I’ve only listened to it through once, but so far it’s better than that time I saw two unicorns mating.